Enjoy this completely personalized private tour of Granada from your hotel or place of choice in Malaga and enjoy Granada’s most important monuments and sights. Take this opportunity to get to know Granada in this experience with your own private official tour guide and private vehicle with chauffeur. Get to personalize your own experience and choose to visit sights like Cathedral, The Alhambra, Generalife and much more! Private official tour guide for your tour in Granada for 4 hours. Private luxury vehicle with chauffeur 9 hours from Malaga. Enjoy this private tour with your official tour guide and get to know Granada’s most emblematic sights. We will pick you up from your hotel or place of your choice in Malaga and take you on this private shore excursion or day excursion to get to know Granada. Your private driver will pick you up, in your private luxury vehicle, and take you to Granada, where you will meet your private official tour guide for 4 hours. 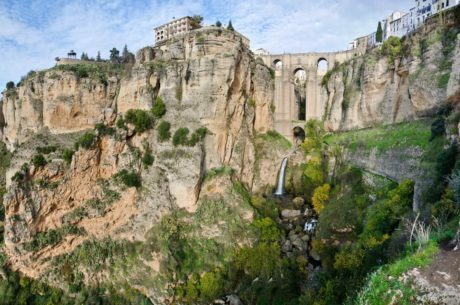 You will be able to enjoy Granada, a city located at the foot of Sierra Nevada Mountains where four rivers meet, the Beiro, Darro, Genil and Monachil. In Granada you can find one of Spain’s most important monuments, The Alhambra. This is a Moorish citadel and Palace. It is the most renowed building of the Andalusian Islamic historial legacy and it makes Granada a popular destination among tourists. Entrance to this fantastic monument is included in the price of this private tour. 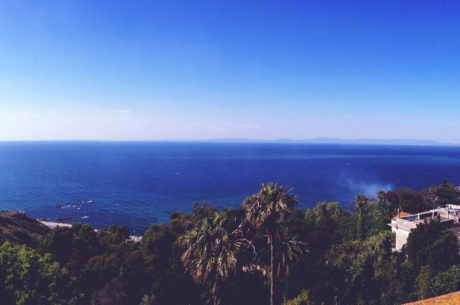 You will go to some of the fantastic viewpoints that the city has like San Nicolas and Santa Isabel la Real. If you are interested in visiting other monuments in Granada, don’t hesitate in contacting us, we can organize tickets for any monument in the city. The tour has a duration of 9 hours from the moment of pick up to the moment of drop off. Your private official tour guide will be at your whole disposition in Granada during 4 hours.